In the Timesheets view you can add time and review your tracked time. There are different views depending on how much information you wish to see. In the Day and Week view you are able to also click and drag on a desired time interval in order to create an entry. 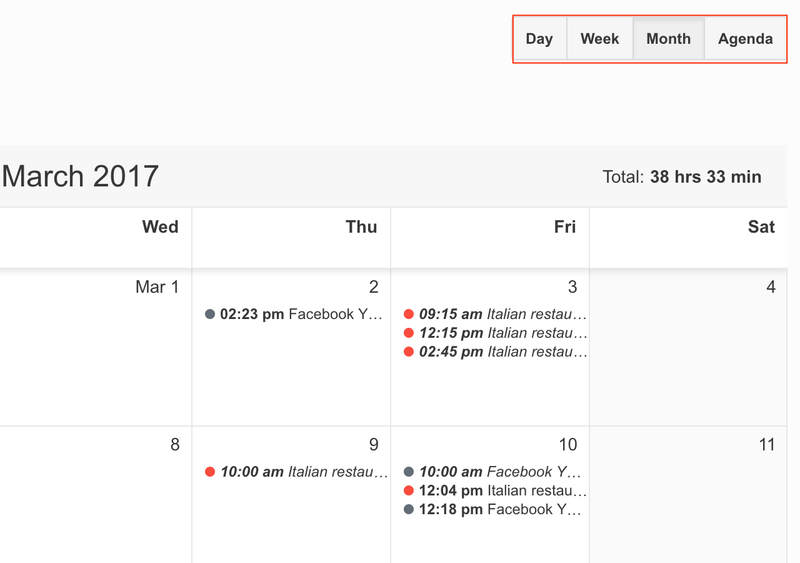 If you use the Month view, when clicking on a day you will be able to enter a time interval entry. In the Agenda view you can only use the Add time button and mark entries as invoiced by selecting the desired time entries.